The Razer Phone is a great smartphone with amazing visual design that makes you think of those of Sony Xperia. However, we are well aware that it is very important to keep up with the most important brands and top tier companies. This means that sometimes not-so-large companies will create smartphones that despite having great performance and features it is unavoidable for them to be influenced by the best-sellers. 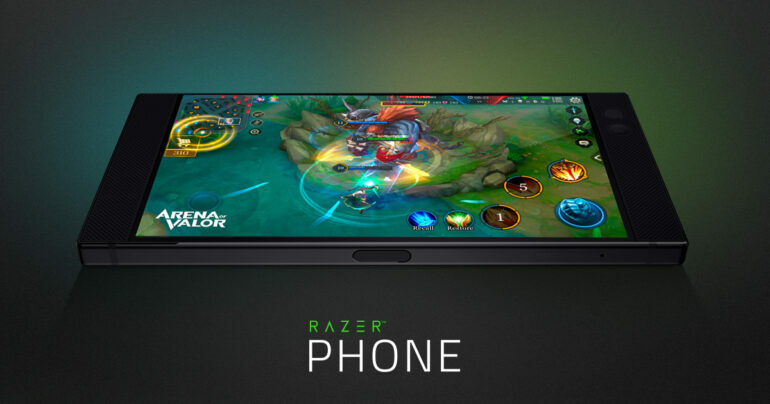 The Razer Phone is a smartphone that was highly expected by the gamers since its performance has attracted the attention of videogames fans. It has been available since November, 2017. And there were rumors that a new Razer Phone 2 was coming out but nothing has been released or even leaked regarding that matter and eventually is was forgotten, at least for the meantime. The Razer Phone has dimensions of 158.5 x 77.7 x 8 mm or 6.24 x 3.06 x 0.31 inches which is the same. It is a little heavy presenting 197 grams but its design will definitely help you get used to holding it in no time. It body is built in aluminum just like most of the smartphones nowadays. And has a single slot for Nano-SIM. It has an amazing display for gaming featuring IGZO IPS LCD capacitive touchscreen, wit 16 M colors. It has a size of 5.7 inches or 87.6 cm2 which translates into a ratio of 72.7% and a resolution of 1440 x 2560 pixels, 16:9 ratio translating into 515ppi. It runs on Android 7.1.1 Nougat and it has been powered by Qualcomn MSM8998 Snapdragon 835 which is not the latest but still very powerful. It comes with 64 GB of storage space that can be enhanced by a microSD up to 256 GB and it comes with 8 GB RAM. This is one of the main reasons why it is highly regarded by gamers all around the world. It comes with dual cameras of 12 MP – 12 MP on the rear, no headphones jack and a battery of 4000mAh with an endurance rating of 62 hours. That is certainly a lot of time for videogames.